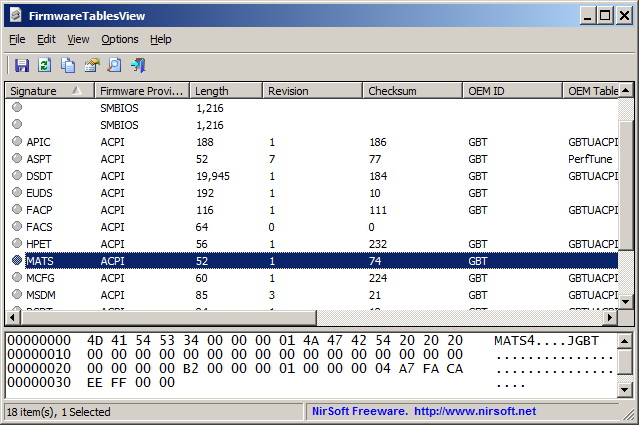 FirmwareTablesView is a new tool for Windows that displays a list of firmware tables (ACPI, SMBIOS) stored on your system. You can view the content of these tables in Hex-dump format and export them to a binary file. You can download this tool from this Web page. Posted by NirSoft on February 1, 2015 at 1:25 pm under Utilities Update.